Structural steel is one of the basic materials used in the construction of frames for most industrial buildings, bridges, and advanced base structures. Therefore, you, as a Seabee Steelworker, must have a thorough knowledge of various steel structural members. Additionally, it is necessary before any structural steel is fabricated or erected, a plan of action and sequence of events be set up. The plans, sequences, and required materials are predetermined by the engineering section of a unit and are then drawn up as a set of blueprints. 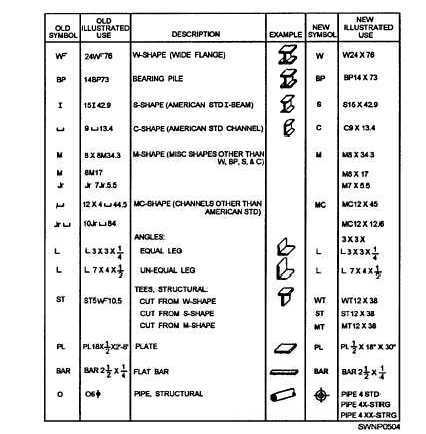 This chapter describes the terminology applied to structural steel members, the use of these members, the methods by which they are connected, and the basic sequence of events which occurs during erection. Figure 3-1. - Structural shapes and designations.